For Sol 2004, Curiosity threw it back to the 2004's sleeper hit Mean Girls when the rover said, "Stop trying to make 'drive' happen." The weekend drive stopped after just a few meters due to a high current warning from the right middle wheel. We were able to assess all of the drive data this morning and decided there wasn't any real risk to the vehicle. 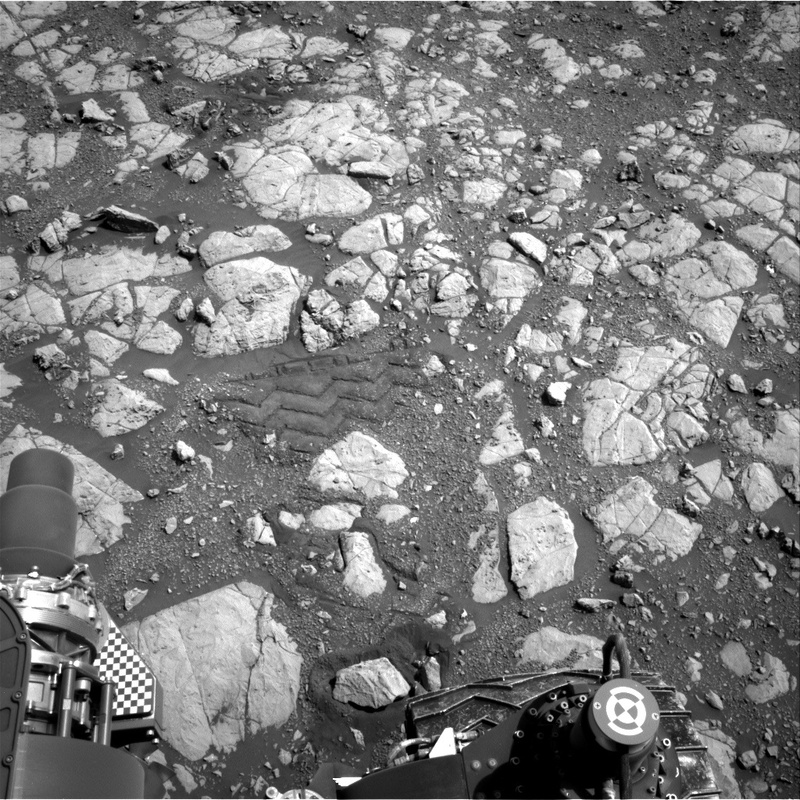 Instead, we just got unlucky because the combination of a small rock and the rover orientation made the middle wheel work a little harder than normal, and this tripped the limit warning. These things happen occasionally when you are autonomously driving a MINI-cooper sized rover on an entirely different planet! The star of today's plan will be the drive that was planned for the weekend. We will start by backing up from the area where the weekend drive faulted out, and then continue along our original planned path from the weekend. We do have a very short science block before today's drive. During that time, we will investigate a brick-red rock, "Mousa," that was turned up by the rover's wheel using ChemCam and Mastcam multispectral data. We will also take a high resolution Mastcam image of a rock with an interesting texture named "Duncansby Head." After our drive, we will take a lot of post-drive images and an AEGIS ChemCam observation. As I mentioned on Friday's blog post, we are headed to the area on the ridge where we see the clearest orbital signature of hematite. I wonder if the bright red rocks at our feet are an indicator of things to come?